Neural tube birth defect lawsuits include drug lawsuits where a pregnant woman was on a medication during pregnancy and the drug prevented normal development of their child's neural tube resulting in brain, spinal cord, and/or other neurological problems. 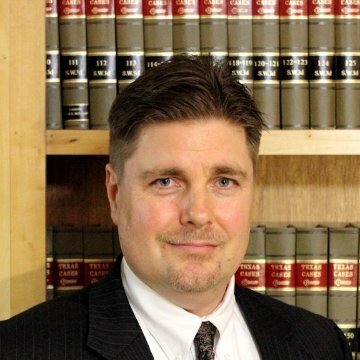 If you believe that your child has suffered a birth defect or birth injury as a result of a dangerous drug and/or medical negligence, feel free to contact Texas Neural Tube Birth Defect Lawyer Jason Coomer for a free review of your Neural Tube Birth Defect Lawsuit or use our online submission form. Neural tube birth defects are a type of birth defect that prevents normal development of a child's brain and spinal cord. The neural tube is the embryonic structure that develops into the brain and spinal cord. In most pregnant women, the neural tube normally folds inward and closes by the 28th day after conception. When the neural tube fails to close completely or develop properly, defects of the brain, spinal cord and vertebrae can result in the child. These neural tube birth defects can result in death or serious nerve damage that can cause permanent paralysis, disabilities, and severe health problems. The two most common neural tube defects are spina bifida and anencephaly. Anencephaly is the most severe type of neural tube defect because it prevents the brain from properly forming. In these anencephaly neural tube defect cases the brain and skull do not develop correctly. In other words, the "cephalic" or head end of the neural tube fails to close properly which causes the brain, skull and scalp not to develop properly. Infants with anencephaly are often born without a forebrain and a cerebrum and are usually blind, deaf, unconscious and unable to feel pain. Many of these children are still born, but some are actually born but do not live long. Encephaloceles are rare neural tube defects that result in abnormal openings in the skull through which brain tissue protrudes. Encephaloceles are often accompanied by deformities of the skull or face and/or other brain malformations. Symptoms may include hydrocephalus, spastic quadriplegia (paralysis of all four limbs), developmental delay, vision problems, mental and growth retardation and seizures. The prognosis for babies with this disorder varies. It depends on what brain tissue is involved and the accompanying brain malformations and symptoms. While most babies with encephaloceles do not survive or are severely retarded, early surgery has helped some children. Generally, surgery is performed during infancy to put the protruding brain tissue back into the skull and correct any craniofacial abnormalities. Several medications, products, and drugs have been linked to birth defects. Some of these medication and products have ample warnings that warn pregnant women to avoid taking these products while they are pregnant, however, some manufacturers have hidden the real dangers of their product in order to sell more of their product and value profits over healthy babies. For these manufacturers, they may have short term profits, but over the long term they will suffer for the long term birth defects that they have caused. Some medications that have been linked to birth defects include Selective Serotonin Reuptake Inhibitor Antidepressants (SSRIs). Women that have taken some SSRIs after the 20th week of pregnancy have a 6-fold increased risk of developing persistent pulmonary hypertension, a life-threatening lung disorder. Infants with persistent pulmonary hypertension have abnormal blood flow through the heart and lungs and do not get enough oxygen to their bodies and may become very sick or die. For more information on Selective Serotonin Reuptake Inhibitor Antidepressant Birth Defect Claims, please go to our SSRI Birth Defect Lawsuit Information Page. A growing body of evidence indicates that several drugs and medications, if used during pregnancy, may cause serious birth defects. These drugs include selective serotonin-reuptake inhibitor SSRI antidepressants. Selective serotonin reuptake inhibitors (SSRIs) are commonly used as antidepressants. Drugs included in the SSRI class are Prozac, Zoloft, Paxil, Symbyax, Celexa, Cymbalta, Effexor and Lexapro. These SSRI antidepressants may cause birth defects and developmental problems if taken during pregnancy. Some potential birth defects and developmental problems include neural tube birth defects, heart defects, cleft palates, cleft lips, clubbed feet, as well as other malformations and developmental problems. These selective serotonin-reuptake inhibitor (SSRI) drugs have been strongly marketed by the drug companies and are commonly used to treat depression and other disorders. For more information on SSRI Antidepressant Birth Defect Lawsuits, please feel free to contact SSRI Antidepressant Birth Defect Lawyer, Jason S. Coomer. Federal and Texas Birth Defect Lawsuits are some of the most complicated types of cases in the practice of law. As a Texas birth defect and birth injury lawyer that handles birth defect, infant death and stillborn baby claims, Jason S. Coomer works with other Birth Defect Lawyers throughout the United States including Boston Depakotel Birth Defect Lawyers, Atlanta Depakote Birth Defect Lawyers, Virginia Birth Defect Lawyers, Dallas Depakote Spina Bifida Birth Defect Lawyers, Houston Spina Bifida Birth Defect Lawyers, and other Depakote Birth Defect Lawyers. In working with other birth defect lawyers, we seek compensation from negligent drug companies and other companies that have severely injured or killed infants or mothers through selling dangerous products, medications, and drugs that they should have know were dangerous, but hid significant research in order to sell more product to make a profit. If you have suffered the loss of your baby or your baby has been born with a significant birth defect, feel free to contact Texas Depakote Birth Defect Attorney, Jason S. Coomer. Off label drug marketing occurs when a drug is marketed beyond its approved FDA uses. When combined with false certifications to the United States Government, off label healthcare whistleblower fraud claims can arise. For more information on Off Qui Tam Fraud Claims. As a Texas birth defect lawyer that handles birth defect, birth injury, and infant death lawsuits, Jason S. Coomer commonly works with other Birth Defect Lawyers throughout the United States including Chicago Spina Bifida Birth Defect Lawyers, Chicago Neural Tube Birth Defect Lawyers, Boston Neural Tube Birth Defect Lawyers, Atlanta Neural Tube Birth Defect Lawyers, New York Birth Defect Lawyers, Dallas Spina Bifida Birth Defect Lawyers, Houston Spina Bifida Birth Defect Lawyers, and other Depakote Neural Tube Birth Defect Lawyers. In working with other neural tube birth defect lawyers, we seek compensation from negligent drug companies and other companies that have severely injured or killed infants or mothers through selling dangerous products, medications, and drugs that they should have know were dangerous, but hid significant research in order to sell more product to make a profit. If you believe that your child has suffered a birth defect or birth injury as a result of a dangerous drug and/or medical negligence, feel free to contact Texas Birth Defect Lawyer and Birth Injury Lawyer Jason Coomer for a free review of your Texas Birth Injury Lawsuit or Texas Birth Defect Lawsuit or use our online submission form.